Witness is a moving project, serving as both a memorial to those lost and a charge to not let such events repeat themselves. 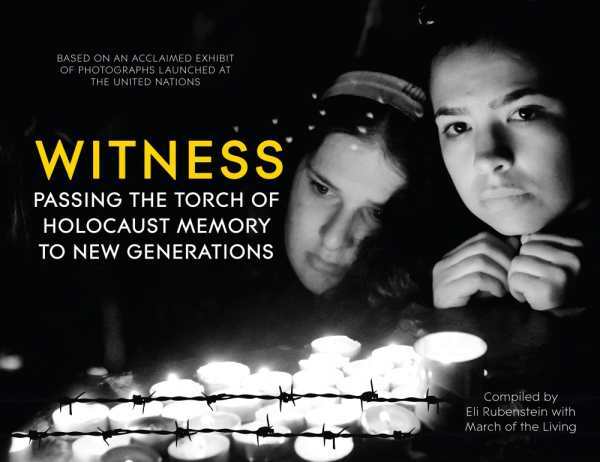 Witness integrates photographs and survivor testimonies into an exploration of the Holocaust in its historical place. The project draws from the March of the Living—an international effort to familiarize later generations with the horrors of the Shoah—to explore the continued resonance of genocide in world culture. The purpose of Witness, and of the March of the Living itself, is to ensure that the particulars of the Nazis’ genocidal efforts are never forgotten or repeated. As such, both incorporate the experiences and reactions of next generations across the religious spectrum. Witness includes a prefatory endorsement from Pope Francis, and photographs and testimonies from the March include interreligious and international reactions. Into such reactions are woven stories of the Holocaust itself. The book begins by rooting anti-Semitism, first as a theological position, and later as one with racial overtones. First photographs are both shocking and familiar, including the liberated barracks at Buchenwald, from which skeletal survivors stare out at their liberators. Such photographs afford the readers opening opportunities to explore the cruelties visited upon those the Third Reich aimed to annihilate. Just as compelling are stories from those perhaps less familiar: survivors hidden by the Righteous Among the Nations, survivors of the camps not as well known as Elie Wiesel. Photographs place these aging survivors amongst students who hope to learn from them, and center their testimonies in locales once horrific, and now left as memorials. The project is meticulous about assigning credit to those who resisted Nazi tactics, both amongst those who formed resistance forces and citizens who protected those in danger. “I was brought up to believe that a person must be rescued when drowning,” writes Irena Sendler, an Oskar Schindler-esque figure, “regardless of religion and nationality.” Such imperatives echo as a never again, and stories of rescues—or national refusals to host refugees—reverberate with particular force. Witness is a moving project, one which serves as both a memorial to those lost and a charge to not let such events repeat themselves. Poems and testimonials explore topics ranging from the nature of evil to forgiveness, resulting in tremendous emotional pull. This is an important and worthwhile collection, laden with moral imperatives that none should evade.